This is happening - just not in America. A syndicate of Chinese investors has raised US$240m in first round funding for a US$1.1b car factory in Nanjing, China, and is launching a US$45k, 500 kilometre-range electric, autonomous vehicle for mass production in 2019 (in China) and 2020 (in the US and Europe). 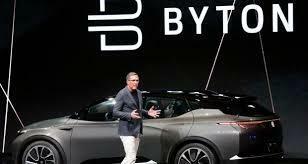 Don’t worry if you have never heard of Byton – it didn’t really exist other than as a concept 12 months ago. So yes – this is a US$1.1b start-up. A prototype of the car was driven on stage by the company’s European co-chief executives during the opening hours of Consumer Electronics Show in Las Vegas (where I am writing this). One of them, Carsten Breitfeld is the former head of BMW’s i8 electric supercar, and the other, Daniel Kirchert, is the ex-boss of Nissan Infiniti in China. Byton seems much more real, including the four hundred or so employees, some with a long list of impeccable European auto credentials. It is not commonly understood how serious the Chinese government is about its car industry. One part of the equation is vehicle emissions, a major factor in air quality which is objectively considered to rank among the lowest in the developed world - despite significant efforts by the Chinese government to reduce petrol engine emissions, for example by limiting petrol motorbikes within the city limits of some of China’s largest population centres, Beijing included. Another is the intention by China to emerge as a power in global commerce. This is spearheaded by none other than President Xi Jinping himself, and so far, it is working out pretty well. e-tailer Alibaba is the same size (in dollar terms) as Amazon, while Tencent is as big as Facebook. Both have significant non-Chinese investment. Don’t wait for formal confirmation that Xi is in the background: it is a given. By the way, Byton isn’t the only Chinese company looking for a stake in the world’s auto future. There are more than a dozen others, including BYD, in which Warren Buffett is an investor. Meanwhile, the most striking thing about the car (which looks a bit like a Porsche SUV, but not so much that is could be considered a copy) is the interior. It does away with the traditional dashboard in favour of one long screen, stretching from car door to car door. 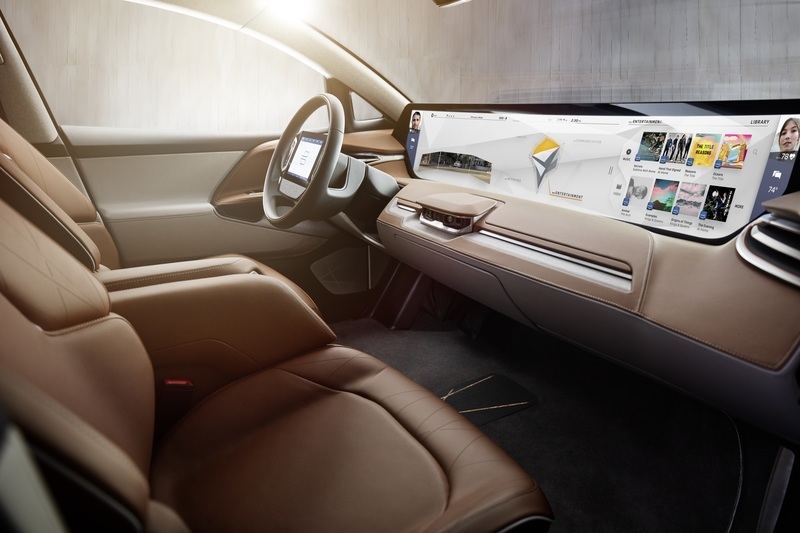 It’s a clue: within a few years, the largest elements of most electric cars will be software, so having a screen for a dashboard merely gives physical expression to this fact.